MEng (Hons) Civil and Coastal Engineering. 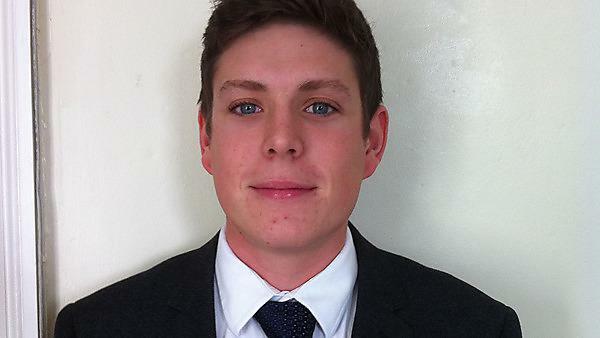 "During my placement year, I worked for Dawnus Construction Limited, based in South Wales and the West Midlands. I worked closely with project managers and site agents to enable jobs to progress on time and without problems. I got to work on a variety of projects, from civils to buildings, including a flood alleviation scheme, a cycle footbridge, the entrance complex to a steelworks and an airport runway safety project. My responsibilities included liaising with sub-contractors, writing minor method statements, setting out, ordering materials, ensuring operations complied with contract provisions and implementing management policies and procedures. What I enjoyed most was getting to understand how things actually get built in the real world. In my first two years at university, it wasn’t so easy to see how the different elements of a project fit together. Doing the placement helped me to relate to my degree topics. A highlight of the placement was when I worked on a local project that has permitted subsequent development in the city centre. Seeing the job through from demolition to completion made me particularly proud. The site agent that I worked with at Dawnus Construction gave me a lot of help with deciding on a job after graduation. He has also advised me on some of my design projects. While I was with Dawnus I was also able to tick off some of my objectives towards my professional development (chartership). At the end of the placement, I had a job offer from Dawnus, which reduced a bit of pressure on my final two years at university. The experience also helped me to get a summer placement between stage 4 and 5, as it enhanced my CV and made me much more employable. The placement reaffirmed that I want to work in the construction industry and in particular on site. I wouldn’t have achieved the grade I did without my placement. It changed my work ethic for the better, and I matured as a person. It has resulted in me getting a graduate job with Sir Robert McAlpine."